A lovely table. I'm particularly fond of those starfish plates. So interesting. The glassware is gorgeous and so is the tablescape...love those starfish plates! 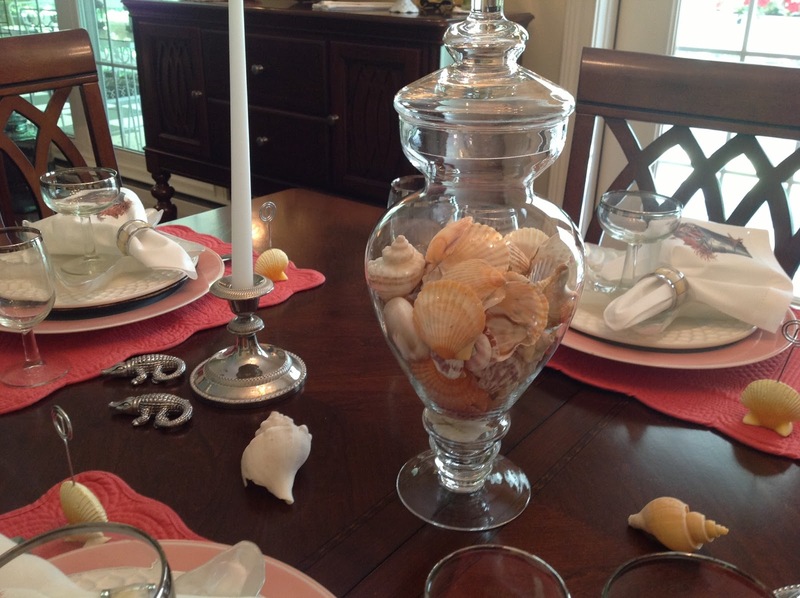 Sea Shells? I am always in! 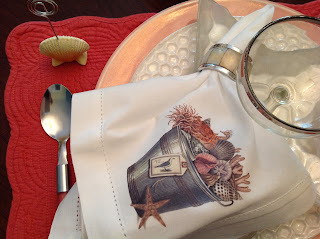 Great starfish plates and I love the texture of the white ones! 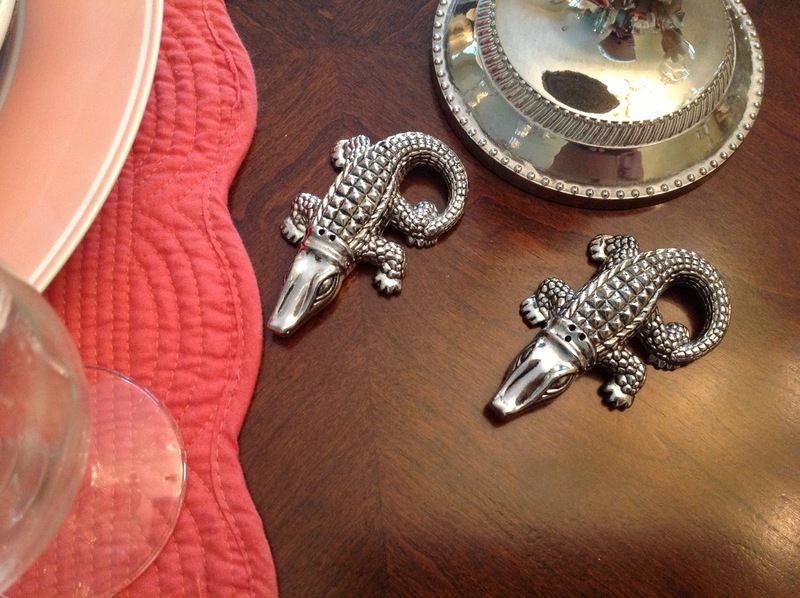 The alligator S&Ps are too adorable! What a pretty table! I love your stemware, it's just gorgeous...and what a sweet husband to purchase those for you! 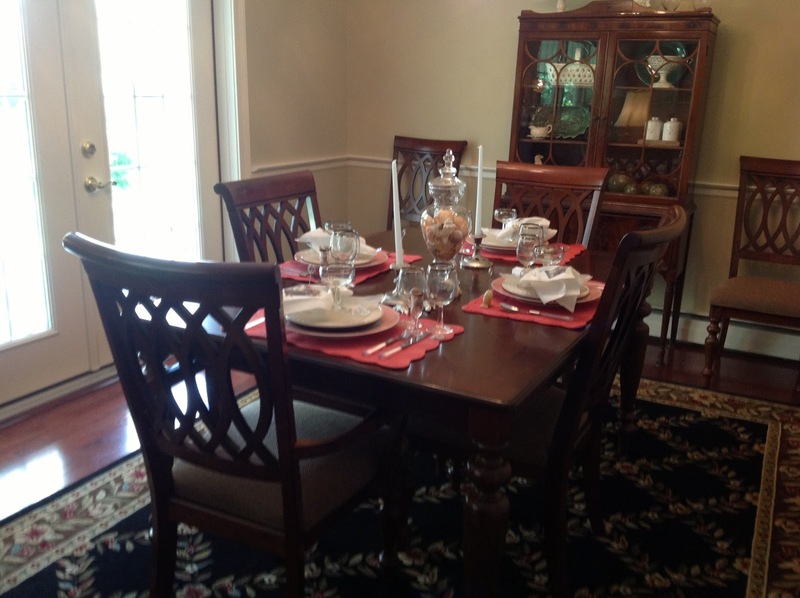 I also really like your dining room set, it's beautiful...and what a great deal! Thanks too for dropping by my site an enjoy the turtles. I think it's neat your son likes turtles too! Just beautiful! Beachy yet elegant. Catching up from Let's Dish. Thanks for stopping by my blog today! 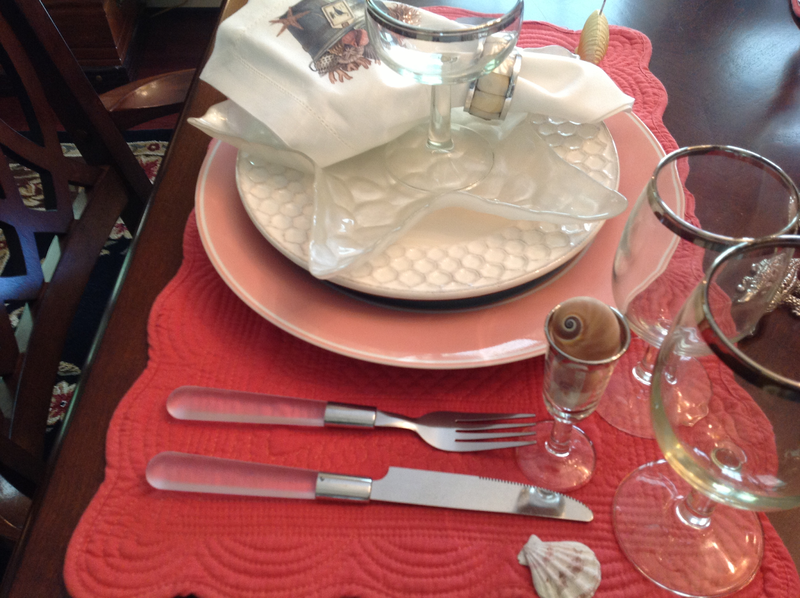 I love those starfish plates! Lovely table! 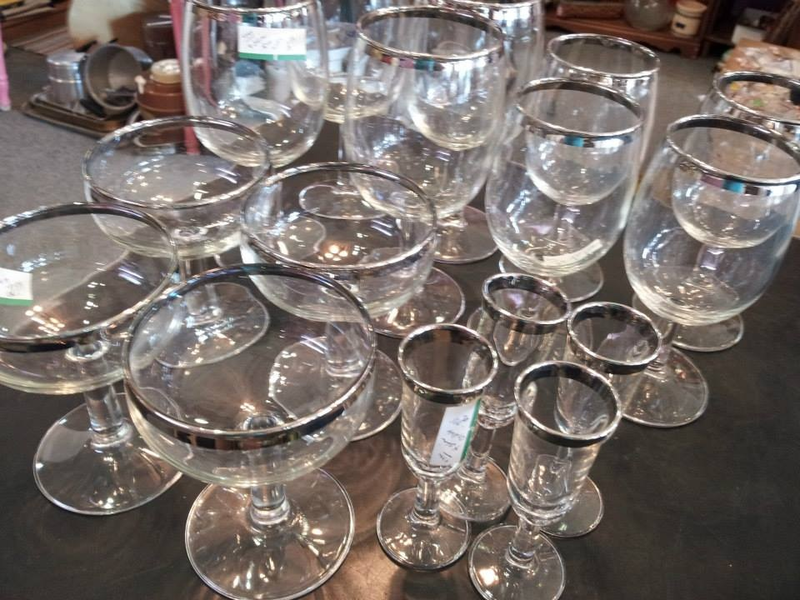 The glassware is beautiful! Gorgeous setting! 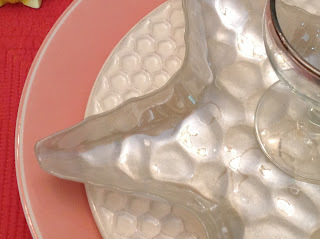 I love the honeycomb plates mixed with the starfish, especially the reflection through the plate. 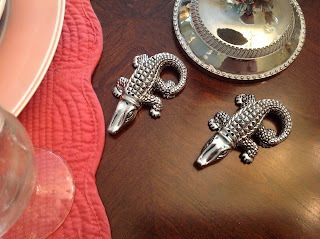 My favorites are your beautiful napkins and the adorable alligators. Wonderful setting overall! 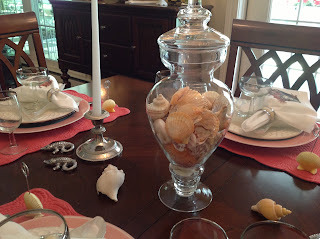 What a pretty tablescape! 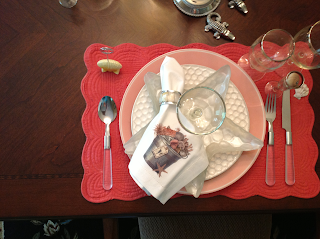 I love the coral backdrop that the placemats provide. I also think those napkins are great! Beautiful table...love the honeycomb plates and those napkins are so cool.